When a Stargate malfunction throws Lieutenant Colonel Cameron Mitchell, Dr. Daniel Jackson. Lt. Colonel Sam Carter, and Teal’c back in time, they only have minutes to live. But their rescue, by an unlikely duo – Major General Jack O’Neill and Vala Mal Doran – is only the beginning of their problems. Ordered to rescue an Asgard also marooned in 1947, SG-1 find themselves at the mercy of history. 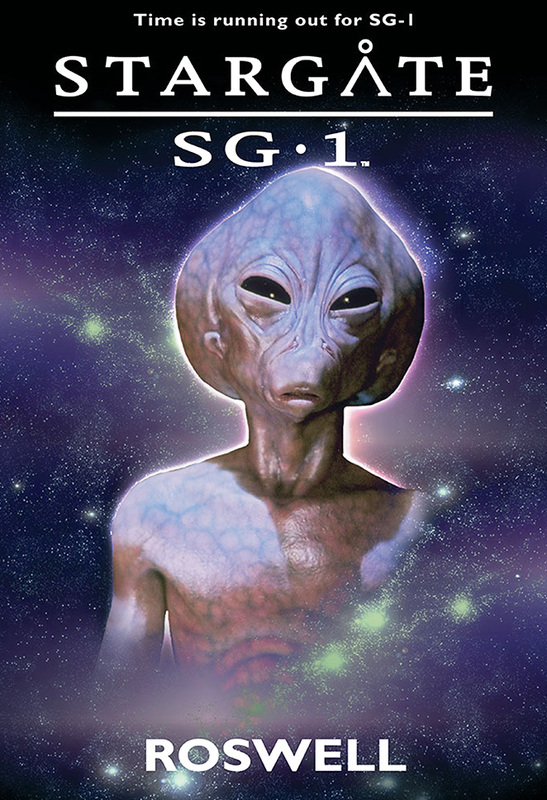 While Jack, Daniel, Sam and Teal’c become embroiled in the Roswell aliens conspiracy, Cam and Vala are stranded in another timeline, desperately searching for a way home. As the effects of their interference ripple through time, the consequences for the future are catastrophic. Having the team romp through ground zero of the most enduring mystery – or myth – of the twentieth century was way too much fun, especially because I could bring two of the twentieth century’s much-loved spec fic authors – HG Wells and HP Lovecraft (who could rightfully be called the father of the Stargate mythos) – along for the ride. As with any story, much of the first draft ends up on the cutting room floor. Scroll down to see a deleted portion of the scene in the diner in Roswell, New Mexico, 1947. Carefully injecting only minimal interest in his voice, Jack said, “And…?” Too much enthusiasm and he’d get the entire history of the Egyptian pyramids. Again. Carter returned and slid into the seat beside Daniel. Outside, a couple of old Buicks and a dust-covered Dodge pickup trundled by, windows wound down low in deference to the stifling mid-afternoon heat. While Packard may have been offering air conditioning in their automobiles since 1940, he doubted it would be commonly seen in New Mexico for another fifteen-twenty years.